In Hungary, July is the hottest month of the year. Would you like to enjoy your holiday but do not want to suffer from hot sunshine in the city? 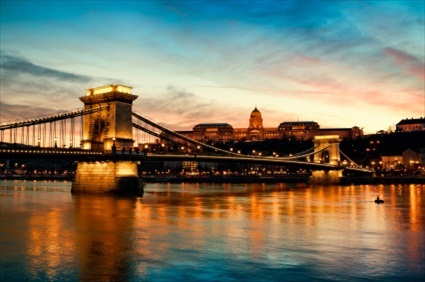 We know an ideal program of Budapest for you! Choose a sunset cruise on the River Danube, and let the unique view of the city amaze you in the milder hours of the late summer evening. All of our boats and ships have both enclosed and open parts, so in a nice evening you can enjoy the pleasant breeze above the sparkling waves, but if a sudden shower would occur, you won’t be wet. Our vehicles can be also rented with their professional staff for an hour. Believe us, you shouldn’t miss the experience of the Budapest sunset times in July. However, if you can bear the hot hours, you can find several exciting other programs, too. Red Bull Air Race is a really spectacular performance, and not only for the fans of planes. This breathtaking aviation show is above the River Danube, and thousands of people adore it from the bank of the river from year to year. Lots of them come from even abroad. Most years, this program is held in July. For sport-fans, we have another good new. Formula 1 Hungarian Grand Prix is also organized in this month. It is actually a short ride between Budapest and Mogyorod which is a little town. If you have got tired during the whole-day rooting, join us, and have a rest on the board of our luxurious boats or ships. Swaying waves reflect the various colors of the sunset sky, and in such a marvelous environment, you can feel that you are a character from a fairy tale! Everyone knows that consuming plenty of liquid is really important in the hot months, so we can also offer alcoholic and non-alcoholic drinks to help cool you down, just choose our booze cruise and you will be served with unlimited beer and a pizza during the trip. Do you prefer cultural events instead of sports? Do not worry! You can visit the Vajdahunyad Castle Festival. Actually, it is a music program but the building itself is worth to see. It can be found in the beautiful City Park and was built in romantic-eclectic style at the end of the 19th century, as the part of the celebration of the millennium of Hungarian Conquest. During the festival, you can enjoy various styles of music: swing, classical, operetta, Jewish, or Hungarian gypsy music, too. It lasts 3 weeks: usually starts in July and ends in August. Naturally, the other common classical concert sites such as the St Stephan’s Basilica, Mathias and Anna Church are also waiting for their guests. Gala Concert in the representative Danube Palace sounds also promising. If are you interested in sightseeing tours, we recommend the segway tours. They are group trips, so it is worth booking them with your family or friends. Segway tours are available in several versions, so you can visit the most important sights of the city, but you have also a chance for making a trip just in special, smaller regions, such as the Castle District or the Margaret Island. After you have discovered your favorite places on this funny vehicle, try one of our sunset cruise and enjoy Budapest sunset times with us whenever you visit Hungary. From the waves of the River Danube, the city offers a really different but not less marvelous panorama. For example, you can enjoy the best view of the Building of the Hungarian Parlament from the river – usually, this aspect can be seen on the postcards, too. It is amazing at any time of the day but the sunset lights make it an unforgettable experience. If you have taken a fancy to these programs, try our sightseeing cruises, too, which last usually longer. Take advantage of your summer holiday, and spend an exclusive hour with us! This cruise can be an ideal family program even you have a small child, but you can also spend a pleasant hour with your friends or colleagues. Our boats and ships can satisfy all requirements. Do not hesitate! Contact us via our website or phone, and have a pleasant sunset Budapest today!